As you have read, only some of the modifications have to be made to the V6 axle housing. But one thing I noticed was there was still contact with the bolt head on the housing, which I chose to pound out and grind down the bolt head. More on that later. I will explain to you how I modified my V6 rear housing. Keep in mind it may differ from the 4cy housings. Since I have never even removed a 3rd member, I decided to call up a friend to lend a hand in modifying my axle. He told me I could modify the axle housing without any welding. Sounded good, so here's the proper (and improper) way to do the job. First you have to remove the rear axle. With the 1st gen 4Runner and leaf springs, it's pretty easy. Drain the diff and unbolt the driveshaft from the 3rd. Undo the ebrake brackets from the drums and unbolt the cable from the axle. Undo the hard brake line from the load sensing proportional valve or "LSPV" and then undo the rubber brake line from the axle. Also remove the rod that attaches the LSPV to the rear axle. Remove the wheels. Remove the brake lines from the back of the brake drums. Brake fluid will begin to pour out, but in a pinch I used a small jewelers screwdriver wrapped in duct tape to plug the hole. Worked like a charm. 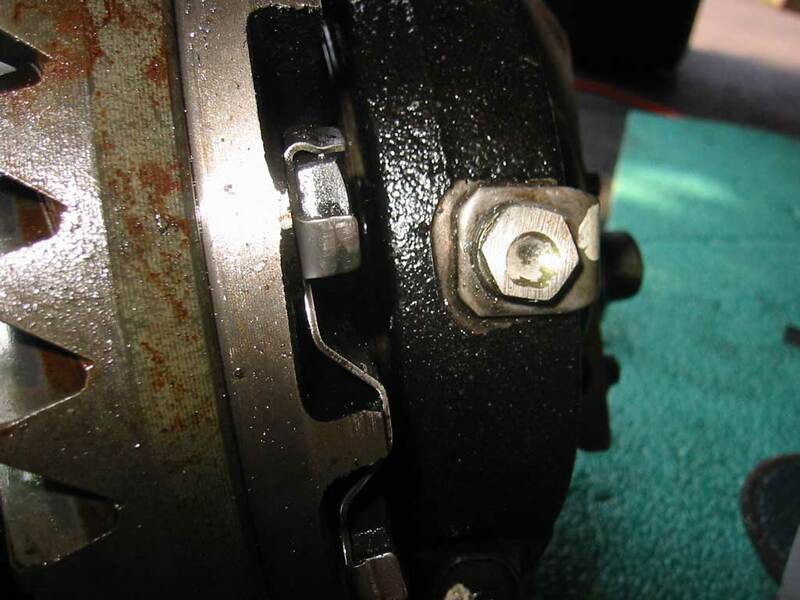 Remove the 4 nuts on the back of the axle backing plate. Pull the axle shaft out of the housing. 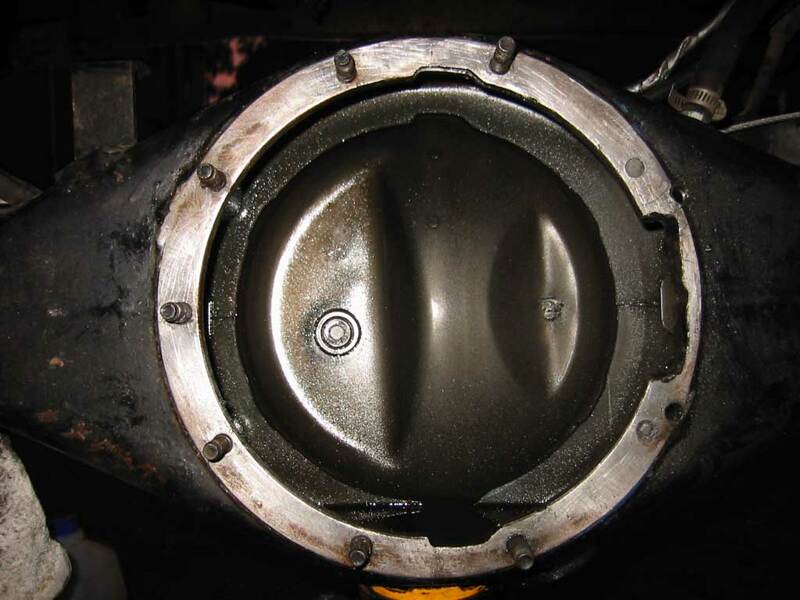 Be careful not to allow the shaft to rest on the oil seal inside the housing, as you will deform it and have to replace it. Remove the u bolts. Now you can roll the axle out from under the vehicle. 2 floor jacks help a lot. Put the axle on the table and unbolt the 3rd member. Clean all the old oil from the housing and clean up the gasket ring. Now you need to begin modifying the housing. 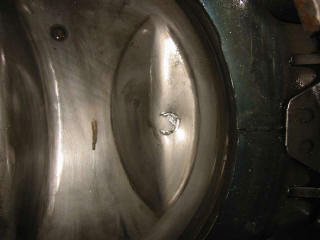 Put your elocker paper gasket on the housing to mark where to grind and tap. remove the 2 studs that will no longer be used. To do this, thread one nut on about half way, then thread another nut on top of that and tighten the nuts against each other. Then use the lower nut to unscrew the stud from the housing. Mark the opening for the actuator fork using the gasket. Take off the gasket and grind away the metal. Smooth everything down with a file. Put your paper gasket back on the housing to make sure you ground enough metal away. Now comes the hardest part. Tapping the 2 new, longer studs in the housing. We messed up pretty good here. Without a vice of some kind to hold the axle and keep it straight, and a drill press, your pretty much guaranteed to have uneven studs. We ended up having to drill out the holes in the actuator to make up for the crooked studs. Now, one some V6 axles, you don't have any problems with the bolt on the back of the locker making contact with the inside of the housing. 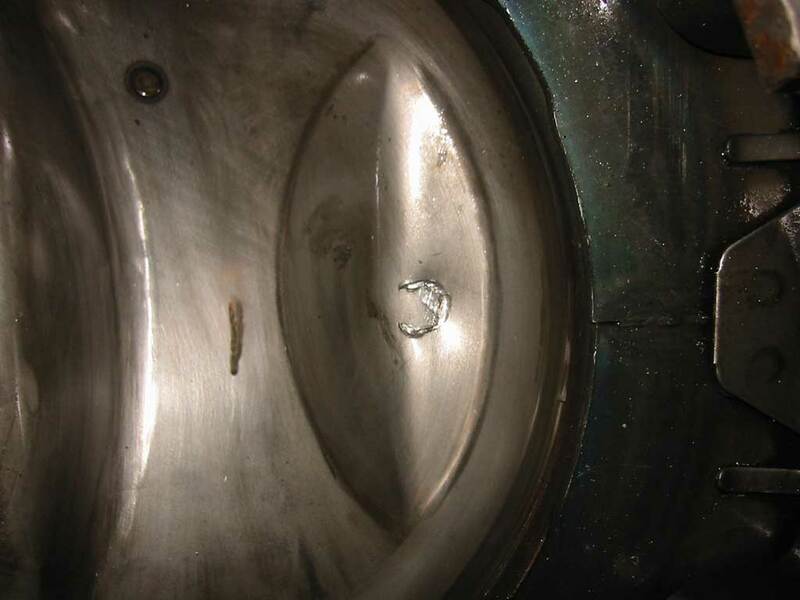 I thought I wouldn't have any contact, but, after having to pull the 3rd because of a leak from the gasket, I noticed that there was quite a bit of contact with this bolt. So I grinded down the top of the bolt head about half way, and pounded in the housing just a little. Now there is no contact. I also didn't feel the need to add the 2 relocated mounting studs. I have a perfectly good seal with the remaining studs. If you have a drill press, you might as well go ahead and make these new holes but with the luck we had with the 2 long studs, we didn't want to mess anything else up. Putting the 3rd back into the housing can be difficult. Things are very tight, especially the ring gear. I actually had to grind down one of the bolt heads near the ring gear. I used the wiring diagram in Carterman's website. Simple but effective. I used some 18 gauge wire wrapped up in, what else, duct tape! I had it laying around so I had to make it work. I ordered my relays from www.partsexpress.com . 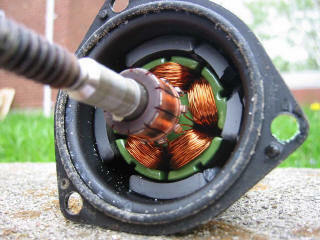 This is the part of the motor that was broken when I got my elocker. Notice the broken magnet on the right side. This is how the housing looked after I pulled the elocker. How it looked before I put the 3rd back in, with the exception of the 2 long studs I removed, but put back in before installing the elocker.